Elliot is a man who lets his job affect his personal life. Tucker allows his personal feelings cloud his professional judgment. These are flawed, human characters. 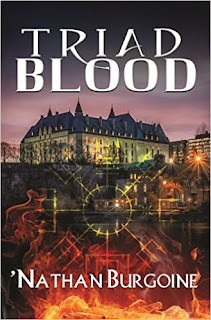 Great characters, mystery and romance, that's what I've come to expect from a Josh Lanyon book. In Fair Game, he delivers. I didn't necessarily like Elliot or Tucker immediately. Elliot is a man at a crossroads in his life. He lost the career he loved (and seemed to define him) as an FBI agent when his knee was blown out while on duty. Simultaneously, the sexual relationship with his lover Tucker ended on a sour note. Seventeen months later, Elliot is a history professor at Puget Sound University and lives a self-imposed isolated life where daily physical pain, boredom and depression seem to plague him. Elliot is asked to look into the disappearance of a young man, a PSU student, as a favor to a family friend. After there's an apparent suicide and another student disappears, the danger escalates, as Elliot gets closer to solving the crime and becomes a personal target in a deadly game. At first, Elliot is reluctantly excited to use his investigative abilities again, it breaks the monotony of teaching. But Tucker is the lead FBI agent in charge and aside from the built-up anger and left over hurt from their break up, Elliot resents the fact he's really an outsider in the investigation. Elliot misses being an agent and is defensive and over sensitive about the physical limitations that prevent him from being one. The focus he places on those limitations and on his loss don't allow him to immediately realize that he still has a lot to offer those around him, including Tucker. His self-pity and doubts are understandable, frustrating and ultimately quite human. Tucker? Well... Tucker is in love. The way he goes about showing that love is what really presents the conflict in this story when it comes to the romance and, to a certain extent, the criminal investigation. Tucker blames Elliot for their breakup and vice-versa, and neither is willing to give an inch. He resents the fact that Elliot is sticking his nose in the case and from the beginning refuses to take his suggestions or suspicions seriously. Tucker's lack of professionalism was frustrating at some points in the story as he allowed human emotions to cloud his judgment. But don't get me wrong; although he makes plenty of mistakes with both Elliot and the case, Tucker redeems himself quite well. Lanyon applies tension, angst and hostility to build up and develop the relationship between Elliot and Tucker. Personally, I loved the sexual tension that emanates from those phone calls between the two men before they're together on the page. Once they are, it all escalates into some intense emotional and sexual scenes between them. There's lots of chemistry there. I loved the characterization and the way the romance was developed. And yet, I still didn't 'fall in love' with Elliot and Tucker because neither character is portrayed as the lovable type. Ultimately that's what I liked about them. Tucker might have been negligent in his investigation but Elliot was relentless, and Lanyon builds up an excellent crime mystery drama in Fair Game. There were a few red herrings that actually worked to throw me off this time, as well as scary moments and action to keep me involved. The villain makes it into a personal and brutal game between himself and Elliot and the conclusion was quite dramatic. I had some suspicions about who dunnit but didn't figure it out until almost the end of the story, making this an enjoyable ride for me. 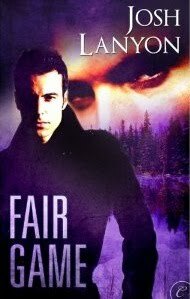 Fair Game had a good balance between the romance and the mystery crime investigation and I enjoyed both aspects of the novel. I admit that although Tucker and Elliot are not my very favorite Lanyon characters, there's something about them (perhaps it's the human frailties that are so well portrayed, the chemistry and interactions) that made them come alive for me. I re-read this book almost as soon as I finished it. That has become something of a tradition with Lanyon's books and an indication as to my overall enjoyment. Oh I really liked this one as well. I agree that the characters aren't my favorite of Lanyons but something about them just pulled me to them and made me want to read more and more. Hey! I really enjoyed this book too. I went for the quick re-read as well. It's true, I don't 'love' them, but then I do O_o. I never guessed who it was, that was very well done of JL. Lanyon's such a solid writer, and I just love the way he crafts his mysteries! Tracy, yes! I think it's the writing and the way he portrays his characters even when they're not favorites. I enjoyed both the conflict and the mystery in Fair Game. Mariana, exactly. It makes absolute sense to me because it's the same way I feel, lol! I always seem to 'fall in love' with the narrator and or his voice -- Christopher, Adrien, etc. I didn't fall in love with Elliot (or Tucker). But they reacted to their circumstances like human beings, not like cookie-cutter heroes, and I liked that. I agree on the mystery too. I really liked this one. Although there were some small things that gave me pause, I just adore the way that Lanyon sets up his charactres to be so intimate emotionally. Such little touches in the writing, where an entire conversation can take place in a silent pause. So good. These are flawed, human characters. Orannia, these type of characters seem to work best for me. :) I'm reading more of Lanyon's work at the moment and enjoying it. We both have some good books ahead of us. sounds like a good book :) I know that Ames enjoyed this one a lot and it seems to be more me :) It's really funny how many cops/agents character seem to be defined by their job... More than any other jobs it seems.